Learn how to mute WhatsApp group simply. we all use WhatsApp messenger for establishing a conversation between us and our relatives or colleagues. However, this conversation is done in various forms like text chatting, video calling, and voice calling. Where the text chatting is the most used conversation type. Also, if a person is using WhatsApp messenger, then it is common that he/she has a WhatsApp group. Although, the groups are the excellent way to get connected to several friends or relatives in one click. But, sometimes it becomes the worst thing for us. Thus that is why we need to know about the technique that how we can mute WhatsApp group. We will be using the pre-defined features to mute WhatsApp group. So, without taking your more time, I would like to start our guide. Let’s begin the quick guide and know the most straightforward way ever to mute WhatsApp group. This is the straightforward guide to learn how you can mute WhatsApp group. To mute WhatsApp group, you have to use the WhatsApp messenger only nothing else. I would also like to tell you that the method to mute WhatsApp group is fully reversible so that you can revert it and can unmute WhatsApp group. Obviously, you can mute severals of WhatsApp groups in which you are added. Also, you can use details tab to mute WhatsApp group one by one. However, if you want to mute several WhatsApp groups at once then don’t worry the technique is added in this article. Moreover, if you want to mute a single WhatsApp group, then you can do it using the details tab of that WhatsApp group. I know you don’t know that how to do it. But, don’t worry after reading this entire article, I am sure that you will be able to mute WhatsApp group easily. So, let’s end the para here and move on to the method below. Open the WhatsApp messenger app on your Android smartphone. Now, click on the WhatsApp group which you would like to mute. Then, click on the details of that group, i.e. the name of that group. Now, click on Mute notifications toggle. Then, choose the time and click on OK. Bonus: To mute several WhatsApp groups, tap and hold the group and click the speaker icon. Then choose the time for how long you want to mute it for and click OK. 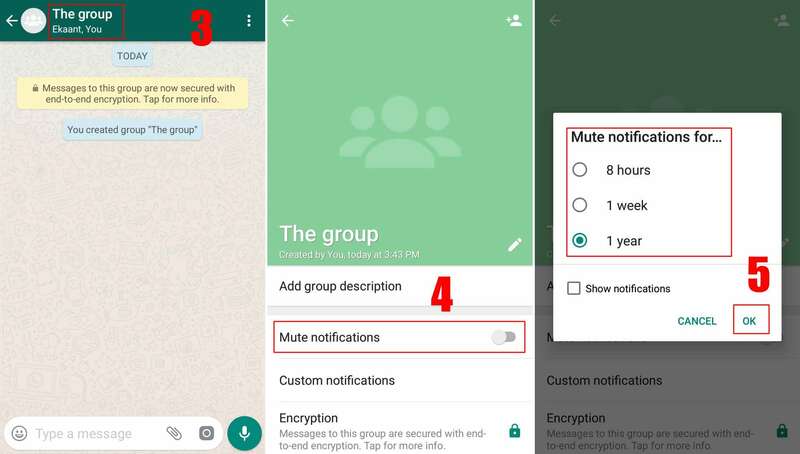 In this way, you can quickly mute WhatsApp group doesn’t matter that you are trying to mute one WhatsApp group or several groups. Head up to this article and learn the best way to mute WhatsApp group. I have mentioned both the ways so that you can mute any WhatsApp groups according to your wish. However, I would also like to tell you that this method is fully reversible so you can mute any WhatsApp groups for some time and unmute it later on. 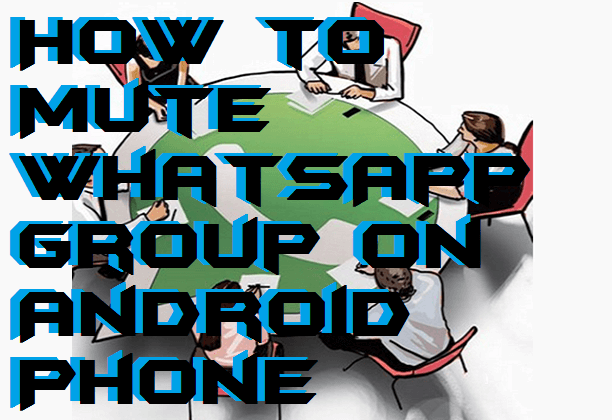 Share this fantastic article with your friends also and tell them about the excellent way to mute WhatsApp group.